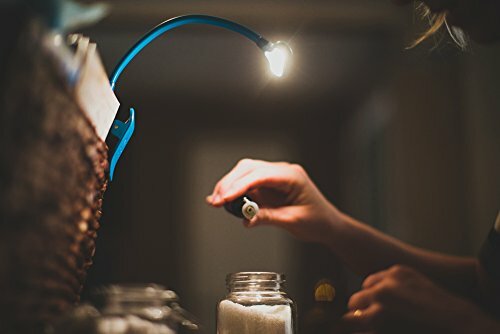 The Original Mighty Bright, designed and headquartered in Santa Barbara, CA, produces only the highest quality LED lights, lighted magnifiers, and accessories. The High CRI (color rendering index) LEDs in our products provide better color rendering and consistent light output, making colors appear more vibrant and true. The NuFlex provides extra bright, warm white light through 3 energy-efficient LEDs for illumination up to 35 lumens. Its warm-temperature LEDs provide clear, warm, consistent light that is easy on the eyes. The adjustable soft-touch silicone neck provides comfort and flexibility to accommodate a variety of lighting needs. The extra wide and sturdy clip creates a strong grip on multiple surfaces. The dimmable LED lights are rated for 100,000 hours and are adjustable, allowing users to set their own brightness levels. Powered by 3 AAA batteries (included) with a battery life of 16 hours, or by any standard micro USB cable. IDEAL FOR: large books, or illuminating multiple pages and larger surfaces with bright, warm light. 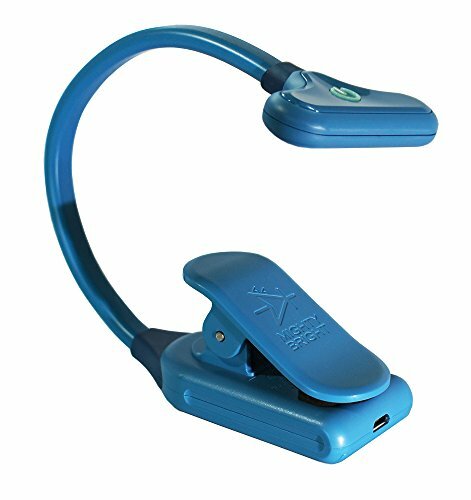 The Mighty Bright NuFlex is the perfect all-purpose booklight, providing 35 lumens of adjustable brightness with a battery life of 16 hours. Powered by (3) AAA batteries or by any standard micro USB cable, with no need to remove the batteries when using USB power - it's designed to be versatile! Manufacturer SKU# 47811. With its three levels of step-down dimming you can easily select your desired brightness, and with its optical grade lens, the light is distributed evenly with no hotspots or harsh edges. With a strong-grip clip, soft-touch silicone overmold, and flexible, adjustable neck, The NuFlex is a go-to project light you'll want to keep at hand. Lightweight, portable, and multi-purpose - not just for books! 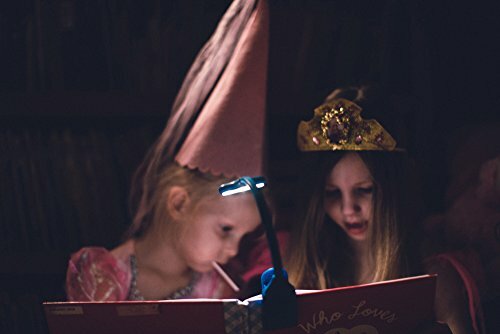 It can be used free-standing on its wide base and the secure padded clamp opens to 1.5", making the NuFlex perfect for camping, kids' reading, studying, on music stands, as an automotive repair light, a computer light, for tasks, crafts & hobbies, travel, and for reading in bed without disturbing your partner. Featuring 3 warm-tone High CRI LEDs (High Color Rendering Index LEDs) that mimic natural lighting, The NuFlex provides accurate color rendering and even light output. Colors appear more vibrant and true, and with minimal optical distortion. We quality test to FCC, CE, RoHS and Reach, UL, and California Prop 65 standards, and we audit our suppliers working and living conditions, and factory safety, to ensure high standards.